You've finally bitten the bullet and made a momentous decision. You're going to quit your job and become a digital nomad. You've seen scores of people on social media living and working in exotic locations and making it look completely effortless, so why can't you do the same? You'll be as free as the wind, live in whichever exciting destination tickles your fancy, and earn a living online as you go. Many people have this idea that the lifestyle of digital nomads is carefree and spontaneous, but that's not quite accurate. While the digital nomad lifestyle is undoubtedly within reach for plenty of people, it actually takes a huge amount of planning to be successful. Being location-independent has its pros and cons, and it's important to weigh them all in order to see if it'll work for you. One of the most important steps is to put a solid financial plan in place before setting off. The last thing you want is to be stuck in a foreign country, struggling to make ends meet with no contingency plan or idea of how to turn things around. 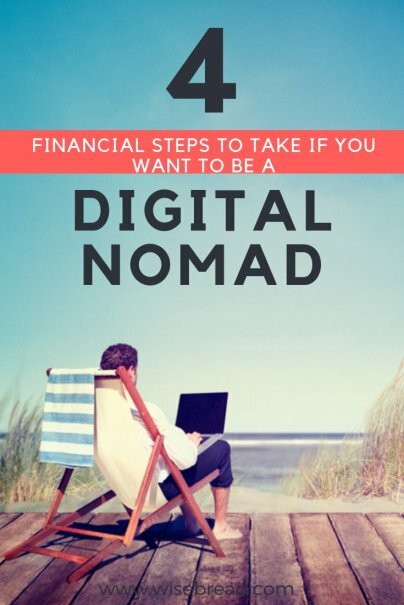 Here are four steps you need to take to create a smart financial plan tailored to the digital nomad lifestyle. Setting money aside is a wise step for any big change you're going to make in life, and becoming a digital nomad is no exception. Inevitably there are going to be relocation costs for travel to your chosen destination, visas, vaccinations, and typically a deposit and first month's rent on accommodations. You're also going to want a financial safety net in the event that things don't go according to plan. This should cover the cost of a ticket home on short notice, living expenses following a downturn in income if you lose a client or job, or unexpected medical bills. There's no magic number to aim for, and the exact figure will be different for each person depending on their circumstances. Being able to live wherever you want in the world gives you the freedom to choose destinations where the cost of living is low. Rather than being limited to where your place of work is, you can find somewhere that suits you, and also allows you to cut costs. However, one of the main considerations for where you live will undoubtedly be the quality and speed of the internet available to you. This means you'll probably need to choose more of an urban setting over rural areas, which may cost more. For lots of people, it's a difficult process to let go of items that hold sentimental value, while others find it freeing to downsize their possessions. Whichever camp you fall into, it's of paramount importance that the physical objects you do keep are of good quality. This is particularly true when it comes to your work equipment. Though it might require a large initial cost, investing in quality gear should mean it will last a long time. It should also mean you don't need to constantly upgrade if your equipment requirements change. For example, you may be tempted to buy a basic and affordable laptop, but you might outgrow its functionality within a year, and you'll have to fork over more money to replace it. With digital nomadism being a relatively new way of life, there are lots of questions surrounding taxes. Who you pay them to, how you go about filing them, and whether you need to pay them at all. Don't fall victim to ignorance as it could cost you dearly with the IRS.